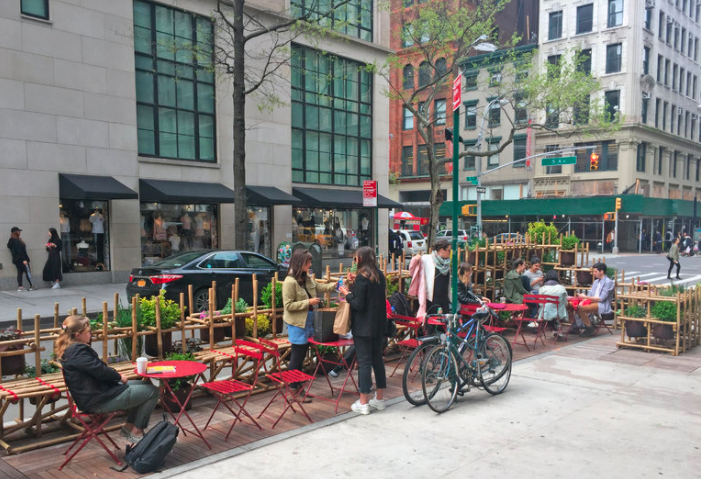 The Spring 2017 Design Build course, taught by instructors Huy Bui and Carlos Gomez de Llarena, converted the parking space at the corner of 13th Street and Fifth Avenue into a parklet stocked with tables and chairs. The seating area is separated from the street by solar-powered bamboo lattice fence. Congratulations to all the participating students and instructors!! Read the article HERE!